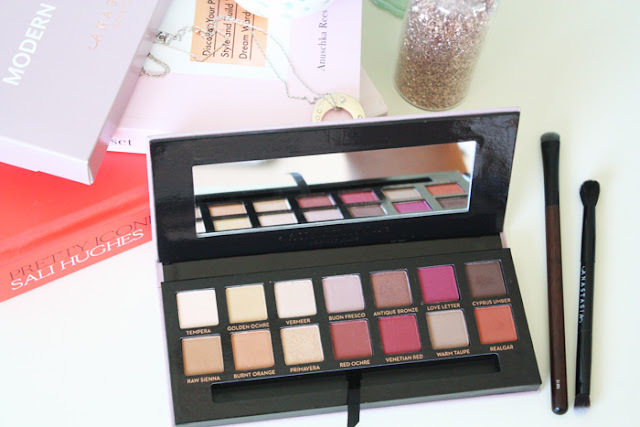 Now I feel like a bit of a mean girl because this palette seems to be out of stock again. It's proving to be an incredibly popular one, that is for sure. I am so glad I waited it out and got it though because it's fast becoming a firm favourite. Chances are, if you've asked me what eyeshadow I am wearing lately, it's more than likely a combination of these shadows. What makes these shadows more exciting, for me at least, than your standard neutral palette is the addition of the berry tones and apricot-y mattes. Great descriptive language use there Sophie... You get the gist. There's only a smattering of shimmer which I don't mind because they are beautiful but it is the mattes that are the true stars here. They're insanely pigmented and I learnt that the hard way. See that brown shade on the top right hand corner? I went for far too much the first time and had to blend it right out. Even though these shades are pigmented they're super easy to blend out so you can dial up or down the intensity as desired. I've actually been loving the shade Realgar, bottom right, paired with Primavera. I find golden hued eyeshadows tend to not suit me, especially if they are too yellow but this combination works a treat. Do not be daunted by the colours here, they're a lot more workable than you might think. The Modern Renaissance palette is definitely worth the love it's getting. If like me you don't own eyeshadows in these sort of hues, you'll love it and it will be a welcome addition to your makeup wardrobe. If you're looking for some other options, Morgan did a great post on eyeshadows similar to those found in this palette here. I've used the bronzier shadows in this photo but I'll try to take some more as I experiment with the other colours. As far as I know, none of the Anastasia stockists in NZ sell this palette but you can find it on Sephora NZ as well of course as Cult Beauty. 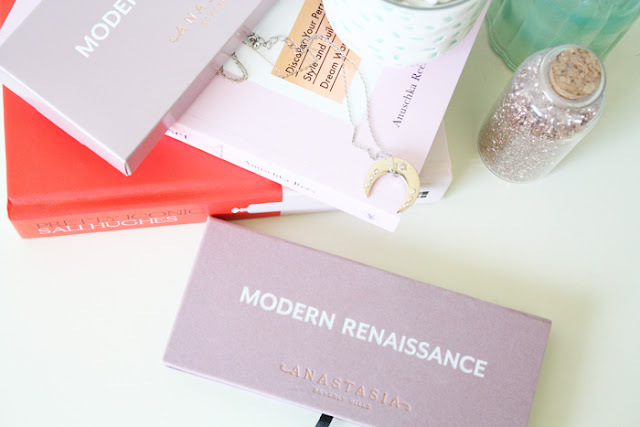 -What do you think of Anastasia's Modern Renaissance palette?